1. 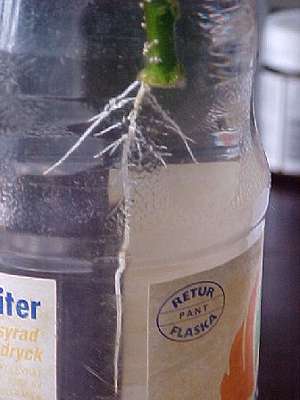 I root new, also called green, wood cuttings in water. That means the bark is still smooth and green in color (or reddish for varieties with red bark such as Pride of Hankins). Semiwoody cuttings work too but really old wood does better rooted directly in dirt. 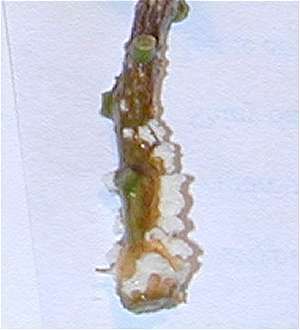 It seems keeping it in water makes the mature bark start to rot and thus damages the new roots. 6. If desired place a sprig of willow (salix spp.) in the water together with the cuttings. 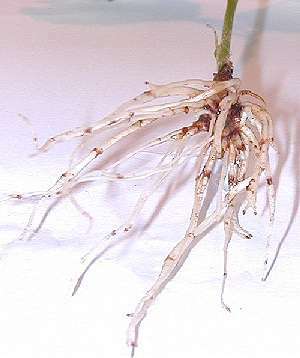 It releases a natural rooting hormone that will aid root development. For more on hormones go to Plant Hormones Made Simple for a quick overview of the subject. Since I'm in Europe my potting soil for hibiscus is a ready bought mix that contains peat, composted manure and composted bark. I blend these in rations of 2/5 soil, 2/5 bark and 1/5 manure. If your mix seems to hold too much water add some perlite and/or vermiculite to the final potting mix. My plants seems to like it anyway. I don't use a bag over the newly planted cuttings, have not found that it's needed. However, do not put the new pots in direct sun until the plant has firmly established itself which takes 2-4 weeks usually. Success rate depends on variety. For Double Red, Pride of Hankins and Brilliant the success is close to 100%. For some other varieties much lower. Please note that some exotic varieties won't root at all but have to be grafted. 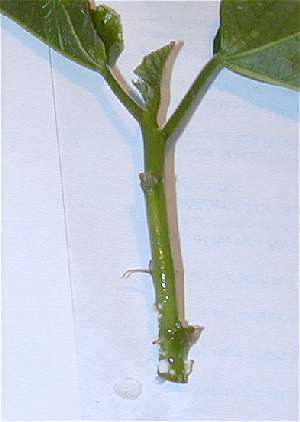 Wally Morgan has an excellent site on grafting hibiscus for the beginner. Well worth a visit.